Another fun aspect of making your own cards is making envelopes to go with them! 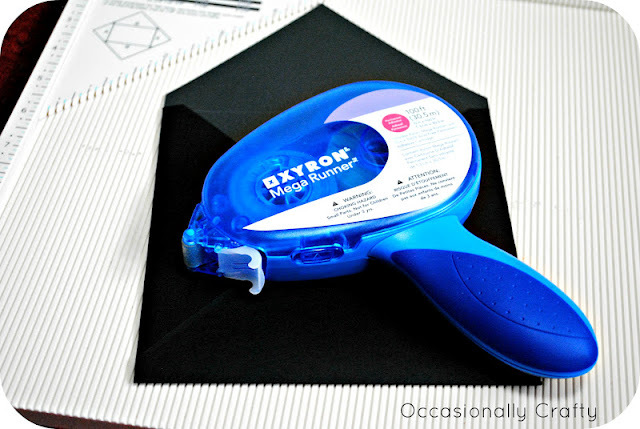 You can make your card any size/shape/style you want! 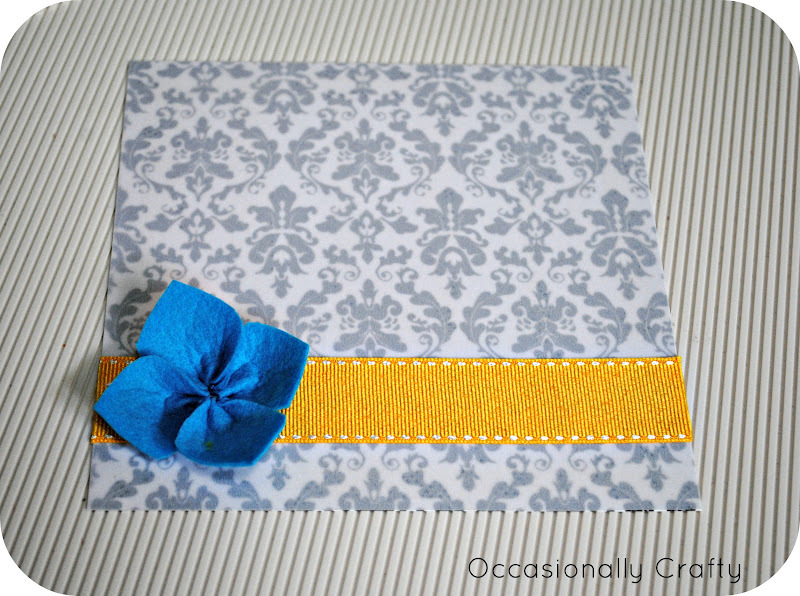 I wanted to make a cute square card for my sister's birthday so I needed a square envelope to go with it. The first tool you need is a scoring board to help you have clean and crisp folding lines. 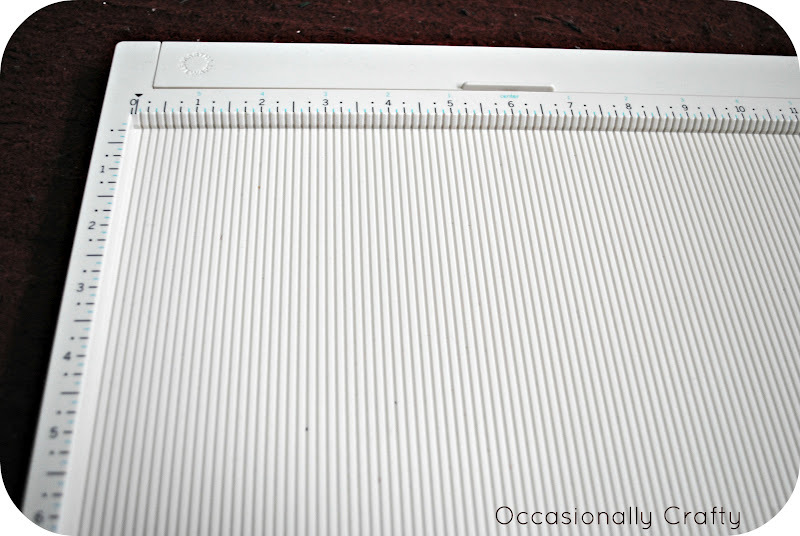 I have the Martha Stewart scoring board because it has a lot of clearly marked divisions, conversion tools and even a compartment to keep you from losing your bone folder. Next cut your cardstock. 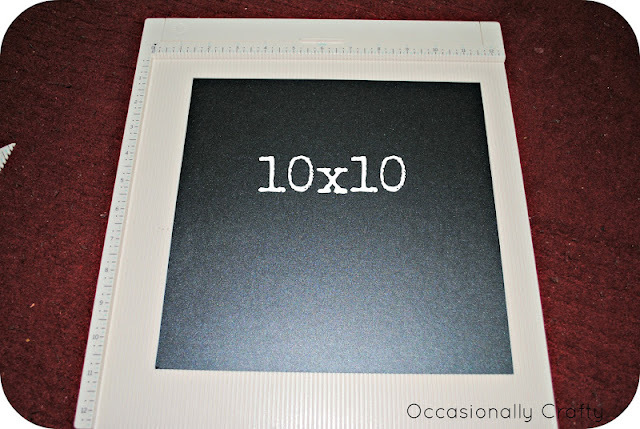 In order for my six inch square card to fit I needed to start with a 10x10 page. 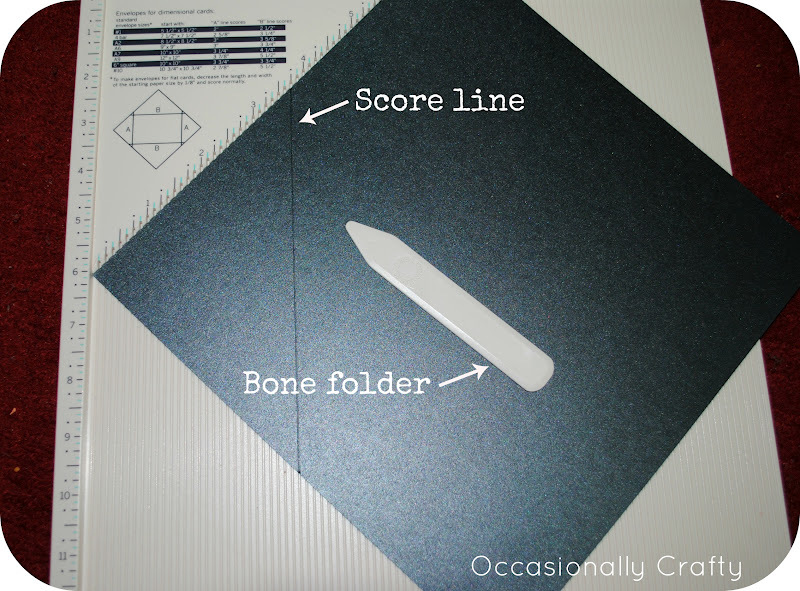 Now you can begin scoring with the bone folder using firm but controlled pressure. I turned my paper so it was diamond shaped and scored at the 3 3/4" line. (The scoring board comes with a tool to help keep everything straight) Rotate 90 degrees and score again. Repeat until you have all 4 sides scored. Once you have all sides scored you'll notice little triangles where your score lines intersect. 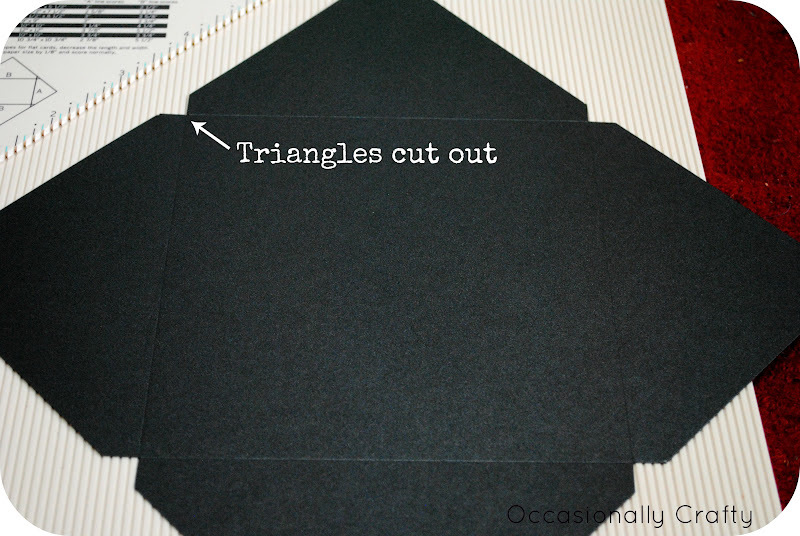 I cut these out to avoid bulk when you fold. Adhere your sides together in your favorite way. I love my Xyron mega runner! Now that your envelope is complete you need a card! 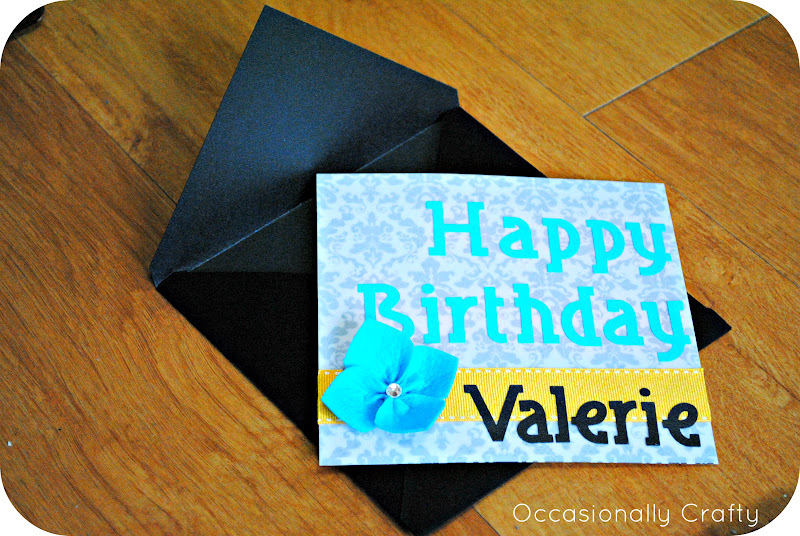 I put some vellum over this black and white damask card stock, added ribbon and a felt flower. And here's your finished product! I need to do this! How cute! Great tutorial! I love this idea! 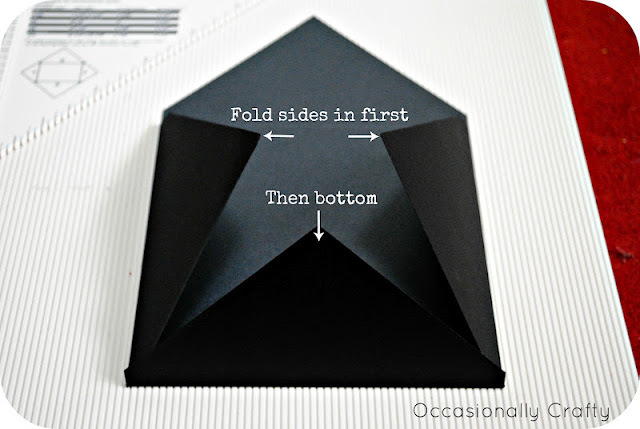 I need to do this Gift Card envelopes for my own gifts to package...thanks for sharing this nice idea.